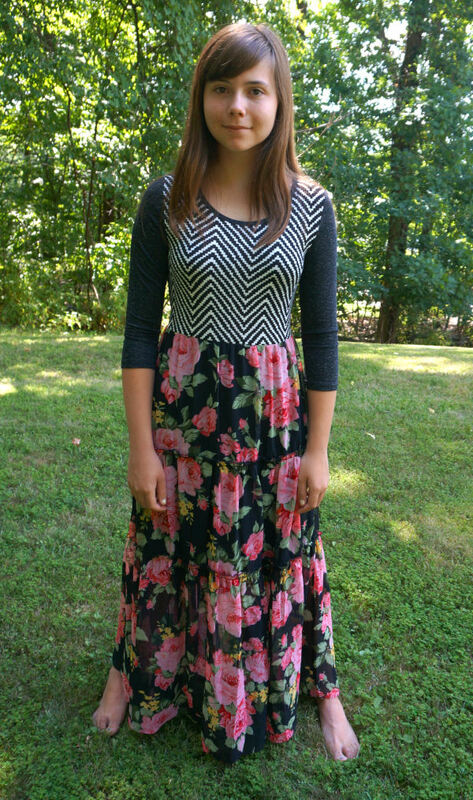 When you’re shopping for your tween, you want to find clothes that are as fun and unique as she is. That’s why we’re so excited about our newest line – Desigual! Perfect for tween girls who love color, bold patterns and clothing that lets their individuality and personality shine through, this designer line comes straight from Spain to your closet. Though Desigual girls clothing is sold in high-end boutiques shops around the world, from Paris to Berlin, the Desigual tween line can be hard to find here in the U.S. For you, that’s a sign of the brand’s unique style and high quality. And for your tween, these fresh fashions mean that she won’t show up at school wearing the same outfit as ten other girls on any given day, otherwise known as any tween’s worst fashion nightmare. Desigual was founded in 1984 by up-and-coming designer Thomas Meyer. Though this Swiss native was only 20 years old, he already had a strong design aesthetic: A future where high fashion was not only accessible to all, but in which clothes actually helped generate positivity. The company’s original motto, “Desigual is not the same,” sums up Meyer’s goals of positivism, fun, innovation and tolerance. Fast forward more than 25 years; today, Desigual is headquartered in the Spain’s style capital, the vibrant, cosmopolitan city of Barcelona, and operates high-end Desigual Brand stores in 72 countries, in cities like London, Hong Kong, Cairo, Moscow, Tokyo and Singapore. And every one of the Desigual stores reflects the company’s commitment to the freedom to imagine a newer, better world, full of light, color — and fun! This fall, we’re proud to carry a selection of fresh new looks from the latest Desigual girls clothing collection. With colors, patterns, fabrics and silhouettes inspired by the world famous Cirque du Soleil, this line is sure to please even the most individualistic tween. For casual dressing, nothing beats layered tops. Desigual’s fall line injects a splash of color and whimsy into your tween’s closet with cute, colorful tops and tees featuring psychedelic patterns, intergalactic snowflakes and even Cirque du Soleil-inspired patterns that pair perfectly with everything from jeans to skirts. And speaking of skirts, what better to top those hip leggings than a flirty, flippy floral skirt in galactic black? For that special occasion, this Desigual dress brings all of the colors and emotions of the Cirque du Soleil to life. With its stunning jewel-toned florals set on a dramatic dark background, the stylish elastic bottom dress has a slightly stretchy hemline that creates a fascinating – and decidedly different — silhouette. For birthday parties or school events, this dress provides just the right amount of edgy, while still being soft and feminine. When cold weather sets in, keep your tween toasty in high style with this Desigual coat. With a fun, funky galactic black pattern that contains a universe of colors, this puffy coat will set your tween apart on even the snowiest day. For an added layer of comfy warmth, Desigual’s pink and lavender sweater with it’s stylized flower print is sure to be your tween’s go-to cool weather piece. It’s hard to believe, but it’s already time to start thinking about back-to-school shopping! For the latest, freshest styles in in tween clothing, look no further than the runways of New York Fashion Week. This year, designers focused on blocks of bright, contrasting colors, edgy 80’s inspired looks, shining metallic accents, faux-fur touches, and soft, cozy sweaters. For the younger set, these fresh styles translate into cute tween outfits infused with splashes of cheerful color and luxe tween dresses with touches of sparkly metallic shine – because what girl doesn’t love a bit of glitter? The 1980’s are still influencing fall styles, with gorgeous crochet sweaters in rich jewel tones and hooded tunics paired with hip leggings making a definitive comeback. Check out how some of our favorite tween designers interpret these trends in their Fall 2012 lines. 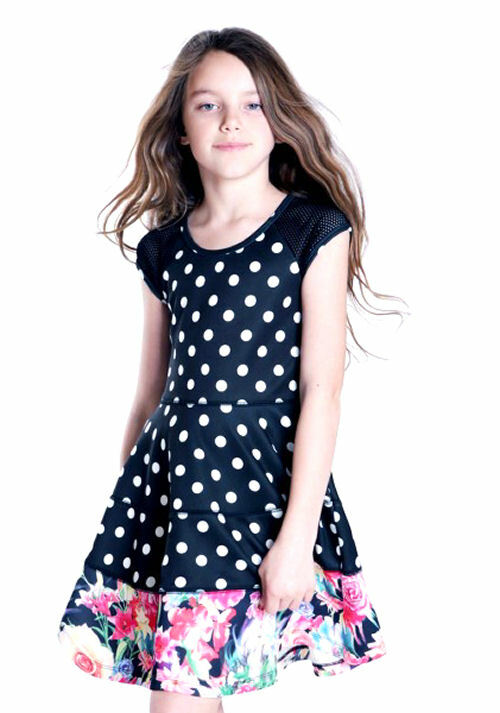 For the latest in luxe looks for tween holiday dresses, look no further than The Collection by Sara Sara. This exclusive brand brings red carpet style straight into your tween’s closet. With an emphasis on careful details and the highest-quality fabrics, Sara Sara’s Fall 2012 line offers a range of special-event choices, from holiday parties to bat mitzvahs, weddings to birthday bashes. Offerings focus on sparkling details, from sequins to metallic overlays to ruffles galore. For an elegant look, Sara Sara’s color block dresses incorporate bright tones with sleek silhouettes, perfect for any special occasion. 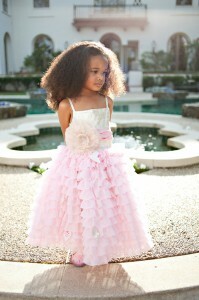 Elisa B is known for a fashion-forward boutique clothing line that’s focused on tween dresses. Their Fall 2012 collection highlights the latest runway styles, from soft, fuzzy, faux fur shrugs and jackets to sparkling sequin and snakeskin accents. For a sophisticated yet age-appropriate look, Elisa B’s careful material choices — metallic gold tones, warm faux suede, sweater dresses and elegant cut-out details – add a touch of elegance into any tween’s wardrobe. For that edgy look that’s characteristic of the post-1980s-remix styles dominating the runways, check out Ragdoll & Rocket’s Fall 2012 line. This super-hip collection features essential leggings in a range of luxe choices, from shiny silver snakeskin to ruched denim and funky tie-dye. Top them off with faux fur vests, tie-dye hoodies, and stunning, color-saturated crochet sweaters and tunics. Ragdoll & Rockets inject rock-and-roll flair to your tween’s look. Don’t forget all of those little extras that bring tween outfits together! Hats, tights and accessories in rich florals and jewel tones make tween clothing pop. This fall, focus on luxe textures and colorful contrasts for the freshest look.